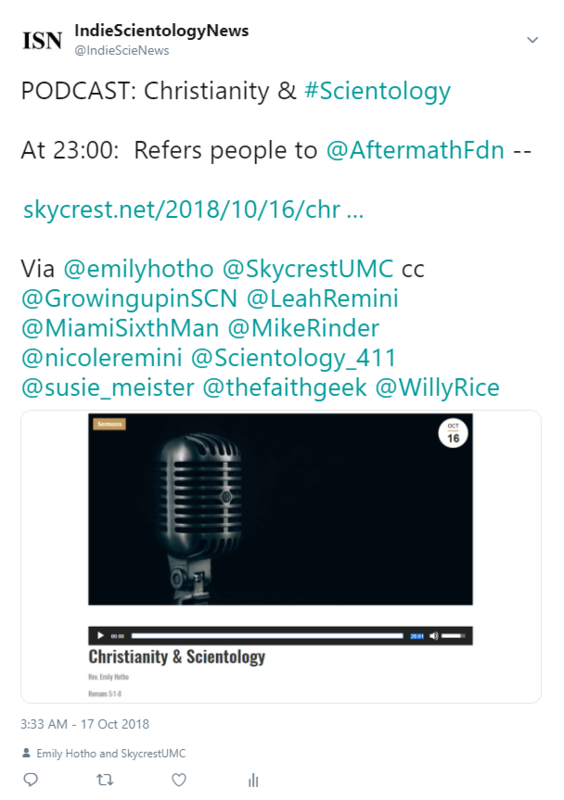 Discussion in 'Evaluating and Criticising Scientology' started by CommunicatorIC, Oct 17, 2018. 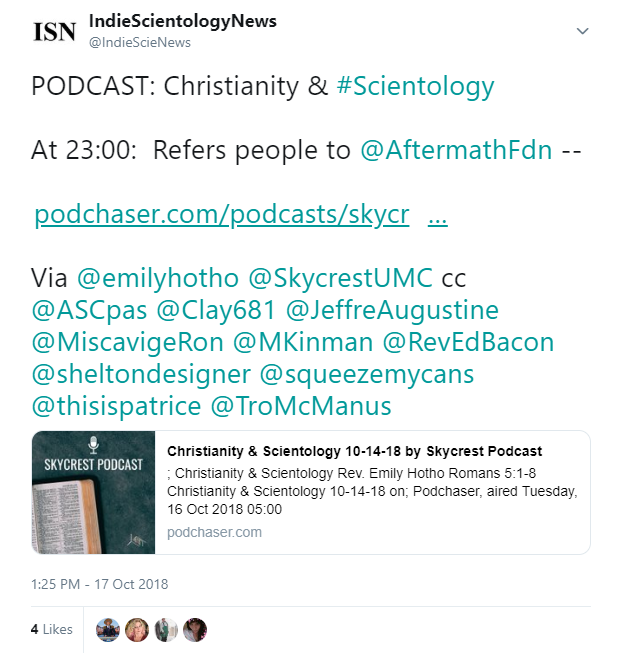 PODCAST: Christianity & Scientology, by Rev. Emily Hotho at Skycrest United Methodist Church. At 23:00: Rev. Emily Hotho refers people to the Aftermath Foundation. Skycrest United Methodist Church is in Clearwater, Florida. Rev. Emily Hotho has been serving at Skycrest since July 1, 2013. Before that, she has also served as Associate Pastor of Christ United Methodist Church in Fort Lauderdale, FL and Associate Director of the Center for Clergy Excellence in Lakeland, FL. She received her undergraduate degree from Southern Methodist University in Dallas, and her Master of Divinity degree from Duke Divinity School. I'll add that I particularly like this sermon. Very thoughtful and compassionate. Retweets, quotations adding content, and replies welcome.